King of rock ‘n’ roll and pop Elvis Presley has been dead for decades, but his legacy and contribution to music and pop culture are still very much alive. Known for his music, sideburns and glamorous lifestyle, especially in the years before his death, Elvis was rock ‘n’ roll and pop culture icon. His sideburns were the ultimate fashion statement that men from all over the world tried to copy, and this same beard style seems to be making a comeback today. Elvis Presley was born in a middle-class family that frequently moved when he was a child. Elvis always loved music and his mother often exposed him to gospel music. He received his first guitar at the age of 11, and a few years later, the public got a first taste of the young Presley’s musical talent at his high school talent show. Presley was mentored by Sam Phillips, owner of Sun Studio records. Before long, he was touring and recording, releasing his first single That’s All Right in 1954. A year later, Heartbreak Hotel became number 1 on almost all the charts, and he signed a contract with Paramount Pictures. 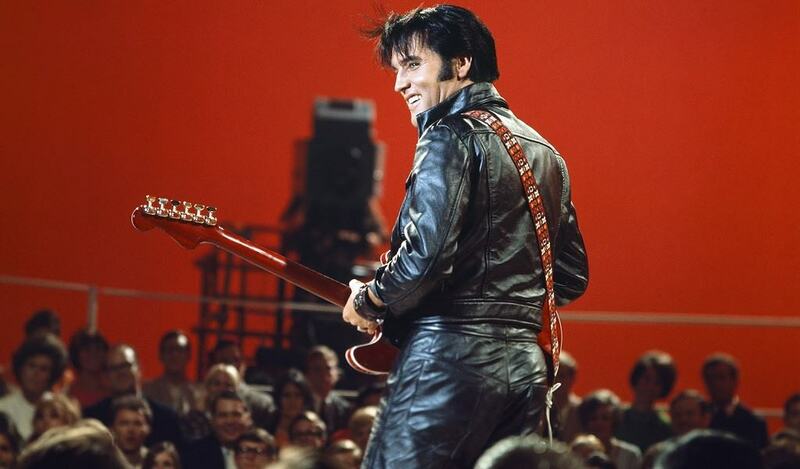 By this time, Presley was on a roll, appearing in numerous movies and TV and radio shows. Presley acted in movies such as Blue Hawaii and Viva Las Vegas and made a stellar comeback with his first TV special in 1968. In the later years of his career, Elvis drew crowds to Las Vegas and anywhere he went on a tour, returning to his mansion in Graceland to rest and recover between the tours. Throughout his career, Presley made significant contributions to the evolution of American music and rock and roll and won several Grammy awards along the way. He was posthumously inducted into the Rock and Roll Hall of Fame in 1986. Presley’s middle-class origins were reflected clearly in his choice of wardrobe, from the Cuban collared shirts to the high-waisted pants and penny loafers worn by almost any 50s’s dad of that era. Stripped shirts and jeans were his go-to outfits for moments in between performances. He also set trends in the color department. The era Elvis lived in was not noted for bright colors in men’s style, but Elvis sported sweaters in deep green and Hawaiian shirts in bright red and yellow that made him stand out on stage. As he matured as a musician, his fashion sense did, too. His wardrobe choices in the 60’s and 70’s consisted of outfits with stylish cuts and colors, pastels and 3-piece ensembles that are still fashionable today. It was in the 70’s when the bedazzled jumpsuits that were the ultimate Elvis’ outfit came to the limelight. Off-stage, people were always able to spot the King of rock ‘n’ roll sporting casual duds or the more classic cuts when the occasion warranted it. Just as it would be expected from someone like Elvis, he had a lot wise and interesting things to say about values, love, the music industry, ambition, keeping positive, getting all, etc. 1. Values are like fingerprints. Nobody’s are the same, but you leave ’em all over everything you do. 2. It’s not how much you have that makes people look up to you, it’s who you are. 3. Truth is like the sun. You can shut it out for a time, but it ain’t goin’ away. 4. Rock and roll music, if you like it, if you feel it, you can’t help but move to it. That’s what happens to me. I can’t help it. 5. When things go wrong, don’t go with them. 6. Sad thing is, you can still love someone and be wrong for them. 7. Do something worth remembering. 8. The image is one thing and the human being is another. It’s very hard to live up to an image, put it that way. 9. If you let your head get too big, it’ll break your neck. 10. Ambition is a dream with a V8 engine. 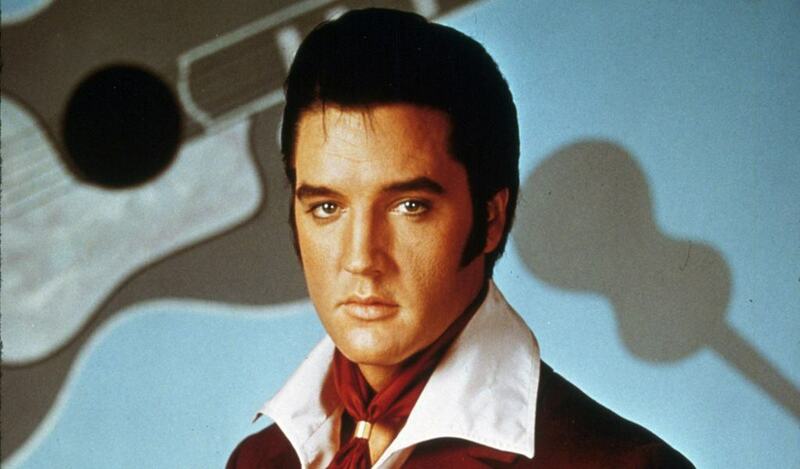 Elvis Presley is a synonym for head-turning sideburns aka mutton chops. 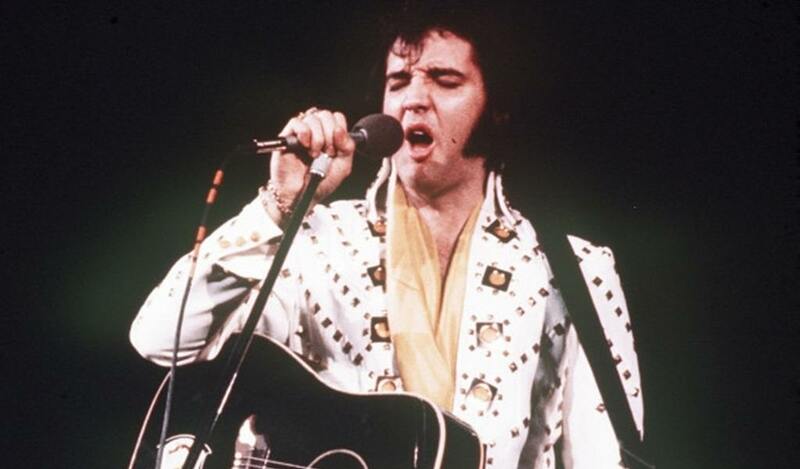 He rarely grew a full beard or a mustache but sideburns were his facial hair style of choice, and it is the mutton-chopped Elvis that most people remember today. It is rare to see photos of the King of Rock n’ Roll rocking a full head of facial hair, but there was a point in his life when he sported a full beard and mustache for a movie role. Trimmed short, neat and clean, a full beard gave Elvis a more masculine, movie star looks very much unlike his clean-cut, rock n’ roll image. The mutton chops are suitable for men with round or oblong faces, but not as flattering on men with pointed jawlines. Since mutton chops will frame your face, you must take this into account and you also have to think about whether or not they will lengthen or shorten the appearance of your face. It is also very important to prepare your beard grooming kit when you start growing a beard. If this is your first time growing a beard, equip yourself with necessary beard care products. For starters, stock up on a good beard trimmer or clippers, beard scissors, a good beard shaper, wooden beard comb, and natural beard oil to condition your beard. Also, use a beard soap instead of regular soaps or facial washes. Benefits of beard soap include keeping your facial hair soft and conditioned without drying out the skin on your face. 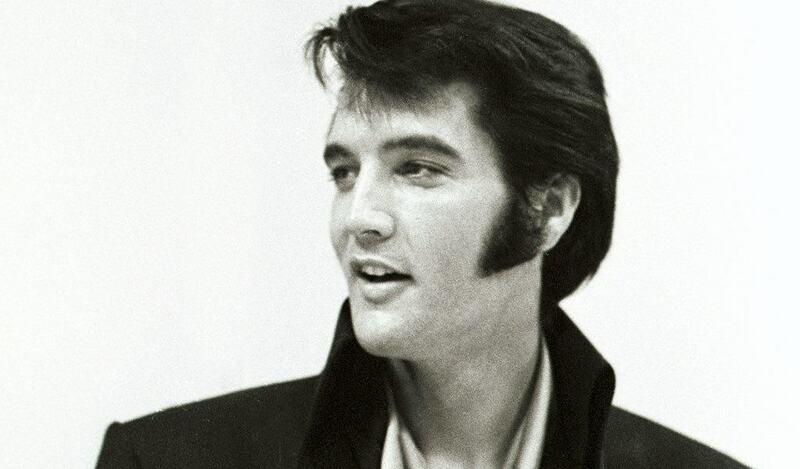 Elvis went for the full-on mutton chops which means that you need to grow a full beard to get this style. Grow your beard for about three weeks to get the right thickness. Use natural beard oils and regular grooming to encourage healthy growth. Use a beard comb and start combing against the grain before using a clipper with a low guard number for an even trim. It is best to use a beard shaping tool to get the shape right, especially if this is your first time in shaping sideburns. Use a straight razor on both sides of your face to shape the mutton chops more precisely and to ensure symmetry. You can also use a straight razor to clean up the surrounding areas to create clean, distinct edges of the mutton chops. Once you have finished trimming and shaping your sideburns, comb along the grain to smooth out the hairs and give them a neat finish. To keep the shape intact, use a beard balm. Trim your sideburns regularly every few weeks to maintain their shape, since sideburns can get bushy fast. Use all natural beard oil to condition your beard to keep the hairs soft and healthy. Without the iconic sideburns, it’s almost certain that you wouldn’t recognize Elvis Presley. The good news is that if you want to copy his beard style, the only thing you need to do is follow the steps above and channel your inner rock and roll star.